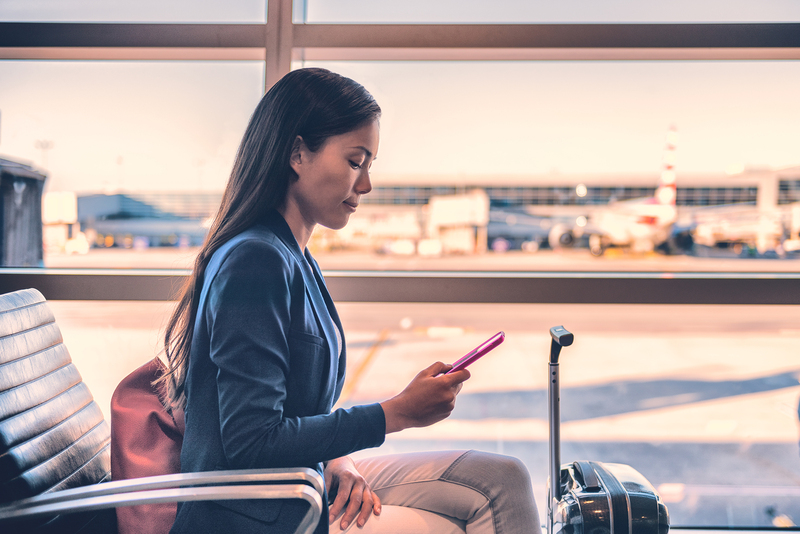 Whether you’re planning a business trip or a weekend away, you may be wondering whether you’ll be able to stay connected to your business while travelling. A lot of business owners are hesitant to take time off and prefer the safety net of keeping in close contact while away. While we would recommend that any business owner take some time for themselves to relax and step away from the business, we know that it’s not always possible. An emergency contact number isn’t ideal if you’re halfway across the world. So, in today’s post, we’ll be giving you tips on how to stay connected to your business, if need be. There are plenty of options to choose from – coffee shops, libraries, hotel lobbies or bars. Many of these public places offer free Wi-Fi, or for the price of a few drinks. However, besides being notoriously unreliable, they’re also not the most secure network option. You could be opening yourself up to hacking if you’re not careful. Many phone data packages allow you to buy extra data to cover you over a brief period. This allows you to make the most of those times when public Wi-Fi isn’t an option. You can simply tether your phone to your laptop and work that way. You can also purchase a dongle or a portable Wi-Fi router to take with you. These options are probably more secure than using public Wi-Fi anyway, but you’ll need to spend a bit of money. While this may be a safer option than public networks, it may not be the most reliable or strongest of connections. On some hotel comparison websites, you can choose to see hotels that are recommended for business travellers specifically. They usually include good Wi-Fi connections and other business facilities. However, try to look at the reviews, particularly ones that mention Wi-Fi. Everyone knows saying “free Wi-Fi” means different things for different hotels. Some mean there’s only Wi-Fi in the lobby, others mean you only get an hour’s worth for free. Moving away from internet connections, it’s important to let your staff know how and when they can contact you. This makes it easier to stay in touch and also provide assistance from wherever you are. Try to give your staff a good deal of notice (you expect plenty of notice from them) so that they can make necessary arrangements or adjustments to their workflow. An email sent around the office with contact details, times and instructions is the simplest method as people can refer back to it when necessary. Keeping up to date with everyone in the office could be a bit difficult, particularly if you’re on the move. So, having just one point of contact could be a real help. They can channel any information you need to be aware of directly to you. There’s no need to rely on emails when you could just pop a question over an app like Slack or a company Whatsapp group. It’s a simple solution to remain in the conversation at work without having to load up and log into separate work email accounts. If getting a reliable internet connection or working from afar is not realistic, perhaps that’s a sign it’s time to switch off. Unless you’re gone for months, your business should be able to last a week without you being there every day. If you think it really would struggle without your input, then perhaps a company rethink is in order. Are you delegating as much as you should be? Are people trained to cover other people’s roles? Try to build a system that is sustainable as this will make it stronger in general. How are you planning to stay connected abroad? Or are you taking the opportunity to finally relax? Please share your thoughts below.